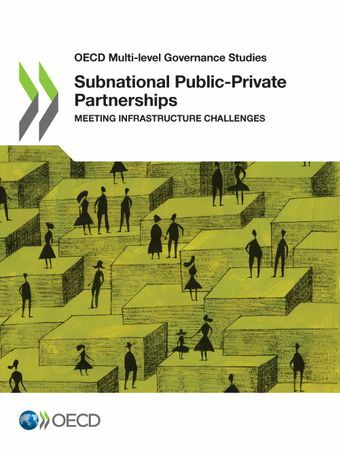 Stéphane Saussier a contribué au rapport OCDE « Subnational Public-Private Partnerships: Meeting Infrastructure Challenges » en rédigeant le chapitre 2 sur « Opportunities and challenges in France ». Abstract : This report focuses on the challenges of governing infrastructure investment and public-private partnerships (PPPs) at the subnational level. Subnational governments – cities and regions – play a vital role in the infrastructure landscape. Infrastructure needs in energy, transport, water and telecommunications are substantial, estimated at USD 6.3 trillion per year between 2016 and 2030. In a tight fiscal environment, it is critical to diversify sources of financing for infrastructure investment and PPPs represent an alternative to traditional government procurement with the potential to improve value for money. However, PPPs are complex and sometimes risky arrangements that require capacity that is not always readily available in government, in particular at the subnational level. This report examines the challenges of using PPPs at the subnational level and ways to address them. It does so by focusing on three case studies: subnational PPPs in France, local Private Finance Initiative (PFI) projects in the United Kingdom, and PPPs in Virginia (United States).